Rwanda’s Electoral Body NEC has cited security concerns as the main reason why Rwandans living in Burundi and Democratic Republic of Congo did not vote today. Rwanda’s Diaspora voted on Thursday with large turnout in host countries and a lot of enthusiasm for the first time voters. On Friday, Rwandans back home will go to polls to cast their votes as the country awaits a new president that will serve a 7-year term after which the next leaders will always serve a 5-year mandate renewable only once. Across the country, preparations have been ongoing immediately after the 20-day presidential campaigns that ended on Wednesday. According to National Electoral Commission, the elections will monitored by 1800 observers including 400 foreign. 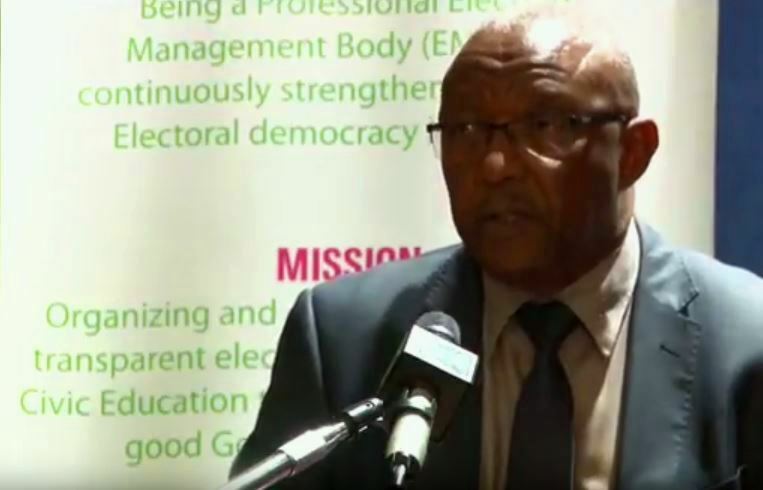 Prof. Kalisa Mbanda the NEC Chairman told journalists at the commission offices that a total of 44,362 voters in the Diaspora turned up at 98 polling stations.